Dennis Wise of The Greatest Story Never told, put out this quote from Adolf Hitler. Hitler was truly a genius and the things he said are things that have an eternal truth and which we can live by. He mentioned the need to fight in “this world of eternal struggle”. He recognised that this is the way Mother Nature operates and he was merely working in line with the way NATURE actually functions. “Struggle is the father of all things. It is not by the principles of humanity that man lives or is able to preserve himself above the animal world, but solely by means of the most brutal struggle”. Hitler’s quotes are aimed at the white males because this is how life is. In my own life I have observed that nothing is fixed. Everything is fluid and you MUST rise to challenges ALL THE TIME. Do not shirk from these things. This is how we grow and we white men must stop shirking. We must throw ourselves into struggle with intensity and the utmost determination. It is in this realm that we are almost God-like in what we can achieve. Jan.
← Photos: BRWR03C: HYPOCRISY: Blacks want Whites shot during peaceful protest! I salute Hitler’s plan and leadership to his army way back world war II. He had proved to his men about his goals and objectives to this world. Indeed, this world has full of eternal struggle and people killing with each other. In his time, there were a lot of human experiments happened. It was really horrific and terrible actions of him to gain power and greater knowledge about this world. There are still a lot of mysteries in this world, however, I believe we must not condemn, kill, and make people as an experiment for the future of humanity. I was disappointed with what happened to Hitler. Your points are well taken. I am an american southerner and we have our issues with defeat. Nonetheless, i would continue to counsel a clear-eyed view of the end game. Do you wish to rehabilitate Hitler? is that the goal? Good luck with that. Even conceding the lies about the man; the fucker lost and spent the flower of Germanic manhood in the process. Incontrovertible. I’m truly perplexed by this tact, as the whites of SA are in obvious battle for their existence. They need allies and they need leadership that is crafty. Not iconoclasts that fetishsize german socialists. Hi sid, how long have you been following me? I’ve done many videos in the past on Hitler and nazis and why I support them. I’m far from finished on this topic. I have much unpublished material. I used to be a conservative and I used to interact with liberals and Jews during my 12 years of running African crisis. I had lots of contact with liberal type thinking. I now reject with total contempt any liberal thinking. The only thinking I approve of is racialism and extremism and militarism. Anything else is meaningless, and will not allow us victory or progress. I’ve walked the Liberal and jew line. It’s garbage. I urge you to watch the series the greatest story never told done by an English man called Dennis wise. It is long but can be watched in parts. It will make you rethink Hitler. I have much knowledge on Hitler and nazis which I have not published. The answer for white people is one thing only : white unity based on race only. I urge you to watch the series. Then come back to me and tell me if you still feel the same way about Hitler. I have much world war stuff I’ve not put out which adds to what got well large from tgsnt. I do have world War two stuff on my site now which you can watch which will also show you things you don’t know. WW2 is the most lied about event in our history. Everything you know about WW2 is wrong. 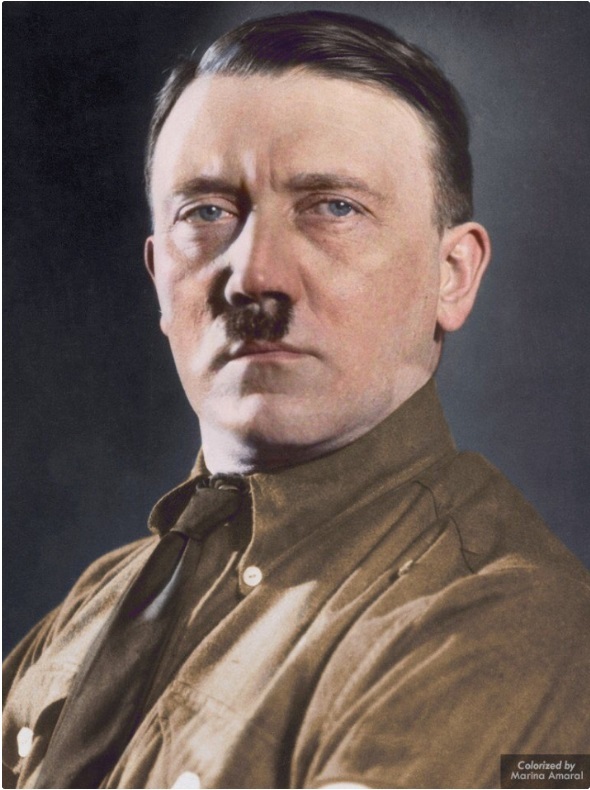 Hitler is the most lied about man who ever lived. I have books and videos by people who knew him. He was a genius. HITLER was a loser! He lost and resigned Germany to cuckdom for 3-4 generations at least. Flash-in-the-pan; he overreached. I’ve sent many to your site, and you post hitler’s big fat face heh. Are you trying to undermine your own position? Come on: up your game -get smart- and i’m not saying forsake values but a little stratergey wouldn’t hurt.